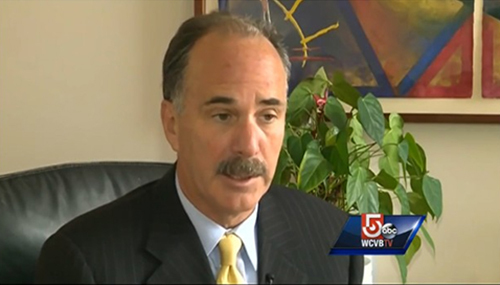 Click here to view the interview on WCVB. Former New England Patriots player Brandon Spikes pled guilty yesterday to criminal charges in the hit-and-run car crash which injured a family of three on I-495 in Foxborough. He was sentenced to one year probation and loss of license. Attorney Marc L. Breakstone of Breakstone, White & Gluck represents the family. “They feel that he got off lightly for engaging in conduct that could have killed them frankly,” Breakstone told WCVB. Early on June 7, Spikes was driving his Mercedes-Benz Maybach on I-495 in Foxborough and struck the Nissan Murano carrying Breakstone’s clients. He was traveling without headlights and hit the family’s car at a high-speed, but never stopped. They were treated at a local hospital. Police found his vehicle abandoned nearby, after his on-board navigation company reported the driver stated he had hit a deer. Spikes, who had just returned to the New England Patriots a month earlier, was released by the team shortly later. Yesterday in Wrentham District Court, Spikes was found responsible for speeding and a marked lanes violation as well. He also admitted prosecutors had sufficient facts to convict him on charges of negligent operation and driving an uninsured vehicle. Those charges were continued without a finding for one year and Spikes could avoid conviction if he stays out of trouble. Driving without auto insurance is against the law in Massachusetts and punishable by a fine or up to one year in a house of correction. “This is a trifecta of irresponsibility; no insurance, reckless driving, leaving the scene in a cowardly fashion,” Breakstone told Fox 25 TV. Coverage: The Boston Herald, The Boston Globe, WCVB, Fox 25 TV Boston and WHDH.